Not saying it’s a good thing. Just sayin that your hand maaaaaay get gnawed on if you go for a chip or scoop of salsa while I’m diving in. Seriously. I can’t stop this dipping train! And now that tomatoes are so prevalent in my garden, it’s time to get this crazy SALSA train started!!! I used fresh roma tomatoes, but other varieties are juuuust fine. Plus, I’ll tell you a secret. This recipe can even be made in the winter with (gasp) canned tomatoes. I have used some that I canned from my garden, but if you only have store-bought, go for the good kind! Muir Glen is my fave. 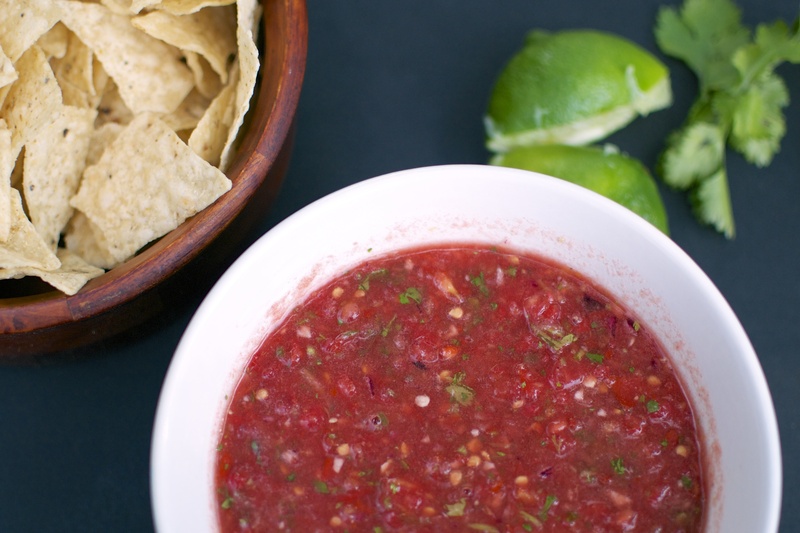 The secret to this salsa is definitely good tomatoes AND lime juice. 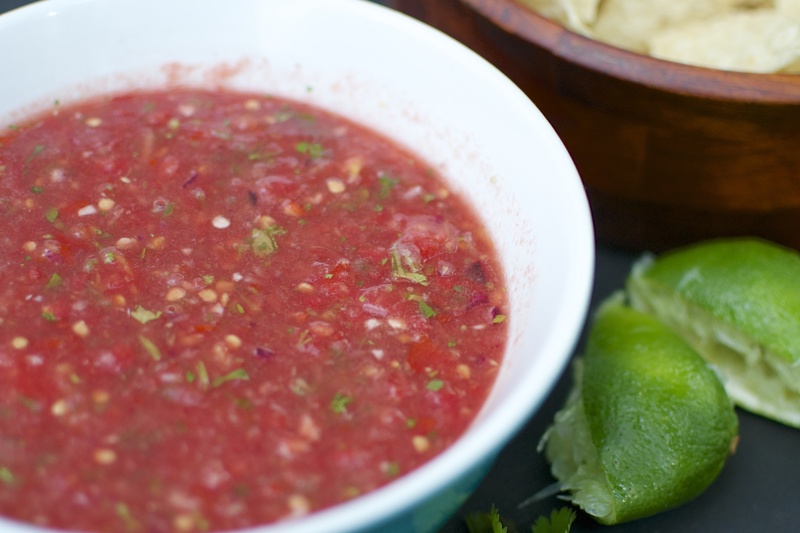 I whip up my salsa using a food processor but if you love to chop chop chop, then feel free to dice away. I like to reserve my energy for diving head first into the salsa bowl. 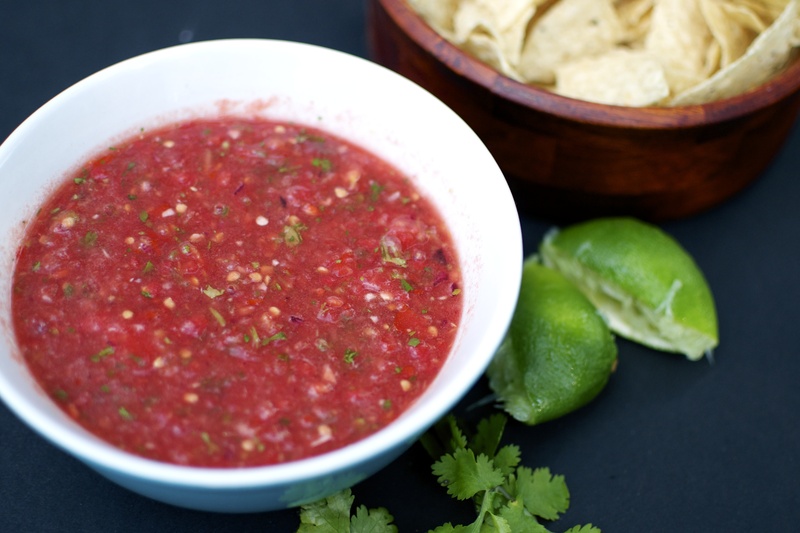 If you do end up chopping up the ingredients, your salsa will just be more chunky….which is what I’m going to be if I don’t get my face out of this bowl of chips and salsa soon! 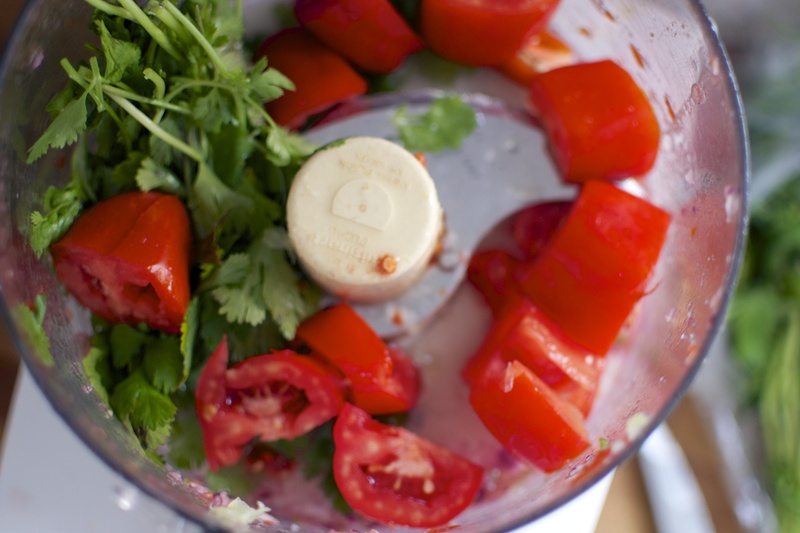 Place tomatoes in bowl of food processor and pulse a few times until tomatoes are fine diced. Transfer tomatoes to a medium-sized bowl. Place chopped onion, garlic, jalapeños, cilantro, and lime juice to bowl of food processor. Pulse for 15 seconds or until everything is chopped fine. Transfer contents to the medium bowl with the tomatoes. Stir well and add salt to taste. Cover and refrigerate until ready to serve. Can be made ahead of time.